Jelly Tooth (Pseudohydnum gelatinosum). 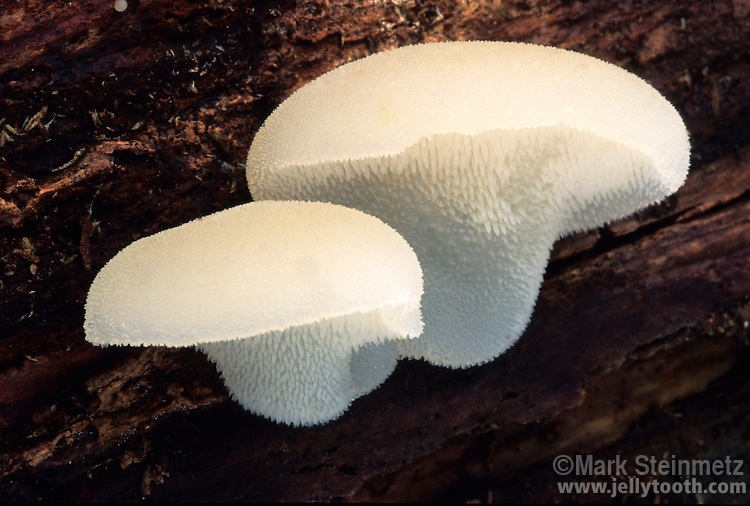 With translucent gelatinous flesh, and "teeth" or spines on the undersurface, this unreal looking mushroom can be found on well decayed logs, especially in eastern US conifer forests. This specimen was growing on a rotted hemlock. Hocking County, Ohio, USA.